The Malahat Review invites writers identifying as LGBTQ2S? to submit their work for consideration for an issue celebrating contemporary queer writing in Canada. 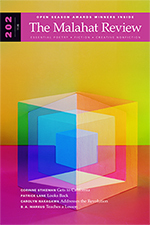 Guest editors Ali Blythe, Trevor Corkum, and Betsy Warland will work together to choose writing by poets, short-story, and creative-nonfiction authors whose work makes vivid and particular their experience of being alive in the world. Read more about Queer Perspectives on our website. In January 2017, Indigenous communities were rocked by the loss of a tremendous leader. Arthur Manuel, a leader and activist from the Secwepemc Nation, stood on the front lines and his unwavering determination and strength in the fight for Indigenous rights have been a beacon of hope for many. As Shiri Pasternak remarked: “Art taught us to better people. He changed the way we saw the world. He showed us a different way to relate to the world.” It is this pursuit of justice that guides and inspires those of us who continue to defend the land and water, and fight for Indigenous rights. 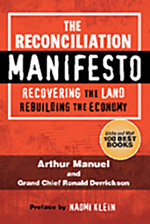 His passing left Indigenous peoples aching, but his presence persists and his leadership and direction are found within the pages of his posthumous book The Reconciliation Manifesto: Recovering the Land and Rebuilding the Economy,leaving us a roadmap to finish the work he, and many other great leaders, have been fighting to complete. Deadline EXTENDED to May 8, 2018 at Midnight! Take the extra time to polish up your poems and submit them for a chance to win $1000! This contest is specifically for emerging writers. Eligible poets have yet to publish their poetry in book form (a book of poetry is defined to have a length of 48 pages or more). Submit up to three poems per entry. Read an interview with judge Carolyn Smart to find out what she's looking for in a winning poem. Poets contributing to The Malahat Review have won or been nominated for National Magazine Awards for Poetry and the Pushcart Prize. Read the full contest guidelines and submit here. Malahat Publicity Manager L'Amour Lisik talks with Samantha Jade Macpherson, whose story "Tattoo" was chosen for the $1,500 prize. LL: I’m always interested in how stories grow. Most go through several iterations before they’re finalized. What was the first idea that spurred you to write this story? Was it always intended to be written as a novella? SM: This story has been through many versions, all of them wildly different, but I’ve always been interested in the idea of the tattoo. At first it was more a meditation on art, and how much we are willing to give for it, but the final version buries that thread in favour of the bodily act of tattooing. Tattooing makes me think of ritualized or compartmentalized pain – because it’s pain that we choose for ourselves – and I find it a pretty interesting topic for fiction. Read the full interview with Samantha Macpherson on our site. Malahat interim editor Micaela Maftei talks with Jason Emde about paying attention, pilgrimage, and how living abroad can shape you as a person. MM: There’s a moment in your piece where you write: “I’m working hard but I’m not really doing the work because I’m hoping the path will do it for me while I enjoy myself walking around.” What is the work that you are and aren’t doing in that moment? JE: I think I was thinking about things like, what is the pilgrimage about? What does it mean? What do I want it to do? I don’t know if it’s a peculiarly Western problem or a human problem or a Jason Emde problem but, in Shikoku like everywhere else, I was battling noisy fretful monkey mind chatter: ‘You’re a chump! You f*cked up! You’re imperfect! Do something!’ There’s that urge to jump up and fix everything, to clang and hammer all night and day. To work. But Shunryu Suzuki says that the way to control your cow is to give it a large, spacious meadow; give it the space to move around, and watch it, and then you’re in control in the widest sense. A lot of the pilgrimage, for me, I think, was learning how to give the cow its space in the meadow. Weird work, in a way — work without working, almost — and I didn’t think I was doing enough. Do something! Hurry up! But just walking every day, sometimes as much as forty kilometres, with a heavy pack, up and down mountains — it starts to sort of murder a lot of the chatter and clutter in your skull, somehow. Things get very simple and primal and clean. “One does less and less until one does nothing at all, and when does nothing at all there is nothing that is undone.” That’s Lao Tzu. Read the full interview with Jason Emde on our site.